This hands-on workshop will show you how to make a variety of beautiful candles. Choose fragrances and dyes to personalise your very own candle range. This three hour workshop will teach you about the different types of candles that are sold in the UK, then learn the skills to make your own using natural soy and beeswax! This hands-on workshop will show you how to make a variety of beautiful candles. 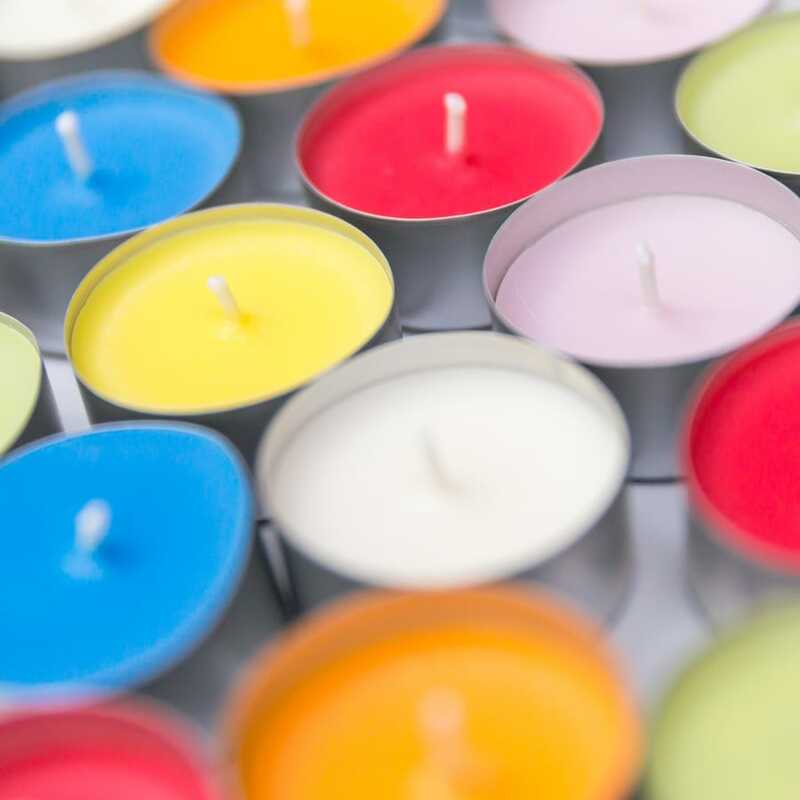 Choose from a range of fragrances and dyes to personalise your very own candle range. At the end you take home the candles you have made plus a copy of our step-by-step course notes. Please note: If you are booking for 2 or more people, please make sure to include the full names of all of your guests when booking. The name of a professional candle-maker is a Chandler. The very first candles were made by dipping reeds into melted animal fat called tallow. Sarah was great. Very friendly, patient and knowledgeable. We made a range of candles and I definitely have the bug now. I am officially obsessed with candles now and can't wait to work on making more at home! This was a fabulous little workshop. We ended up making several different types of candle, including a fragranced one. Sarah is knowledgeable and gives great instruction throughout. Would definitely recommend for beginners to candle making - either as a crafting hobby or as a base for further learning. My friend and I really enjoyed the candle making course, what a friendly and welcoming atmosphere. It was a wonderful, relaxing few hours. Sarah is very knowledgeable and full of great tips, learning about all the different wax types and fragrances was really interesting. Highly recommended, thank you Sarah! Great and informative course. Sarah is non-only very friendly but also very knowledgeable. The course is very interactive and perfect for anyone wishing to learn how to make candles. Fantastic workshop. Informative and great fun. We made some great candles and learned lots. Inspired me to go on and have a go myself! Sarah is a great teacher, generous with loads of nifty tips and tricks, and very good at straightforward explanations of the more technical aspects. There was a good variety of materials to play with and we came away with a gratifying bag full of our creations. I thoroughly enjoyed this class! Great instruction and took home some great candles. You can be a complete begginer and learn something new in just 2 hours. Class gives you a chance to be creative too! Recommend it. Sarah was a great teacher. She took us through a range of techniques, tips and tricks of candle making, and encouraged lots of questions. We made several different types of candles, much more than I expected! I attended this class with a friend, we had lots of fun and left with some lovely candles. The pillar candle we made burns lovely like a stained glass lantern. The scented candle is being given as a birthday gift. Now I know why scented candles cost so much and I can now make them myself! Sarah the teacher was friendly and shared lots of knowledge. I’ve ordered some supplies to have a go at home, Sarah supplies information on where to buy the things you need. Can’t wait have the candle making bug. Easy to access venue at Westminster college. Small group of people and just the right amount of time to learn the basics of candle making. I would recommenced this course to anyone who is thinking out making candles for pleasure. The only downside is that there is a follow up class but it is not in London. Excellent workshop. The teacher was friendly and informative. Plenty of hands on time. Learned a lot! Sarah was very friendly and informative about any questions I had. It was a lovely introduction to the art of candle making and left me feeling very relaxed, alongside sparking my creative side. Highly recommend! Absolutely loved the class! Really fun, varied and informative. 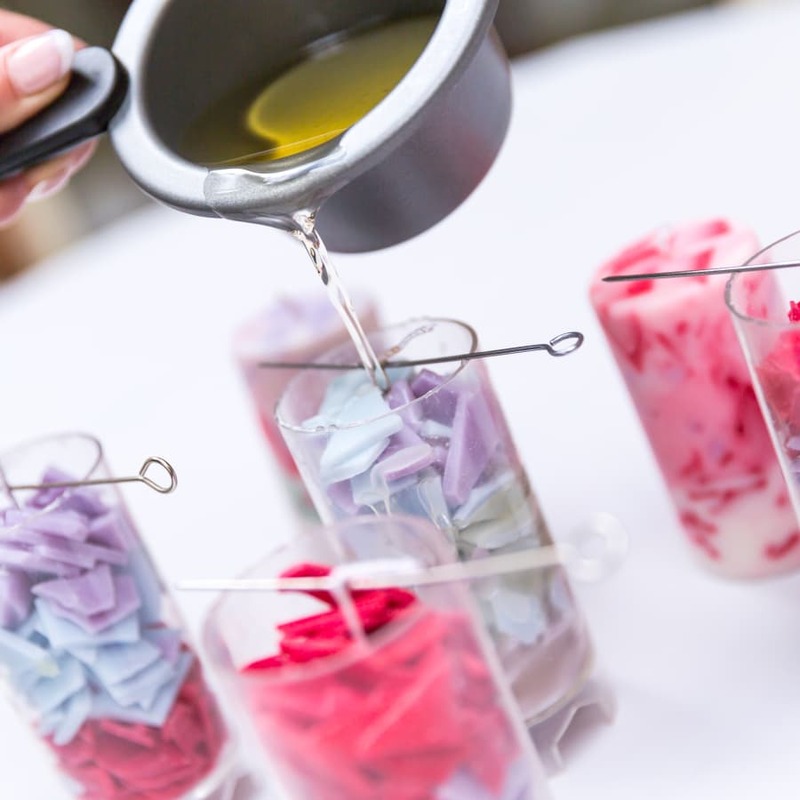 Candle by Events is the candle-making experience company - passionate about creating fun, hands-on candle-making events for organisations and individuals. The company was founded in 2008 by Sarah Ditchfield, who has a HR and training background. Following a candle-making Christmas present she received one year Sarah discovered a passion for candle-making and later combined this with her experience in training and development to set up Candle by Events. 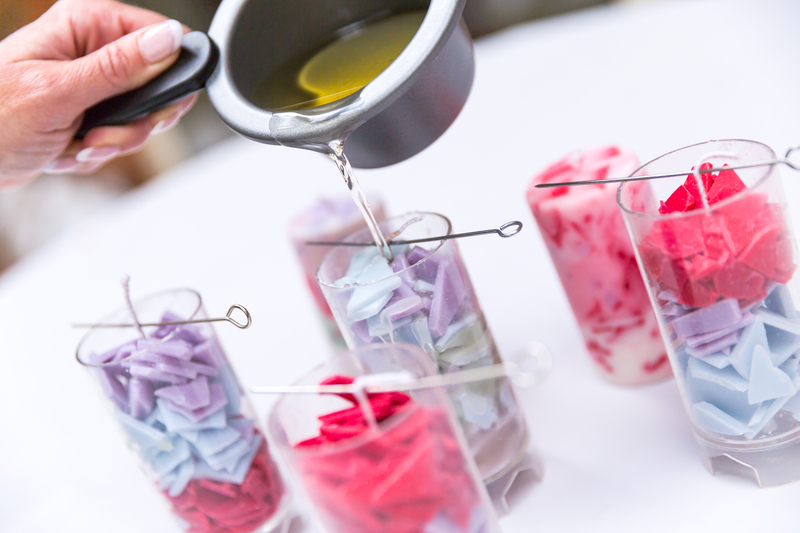 Today the company runs candle-making events, parties and workshops across the UK. Sarah as an author of two candle-making books published by Dorling Kindersley and Search Press. 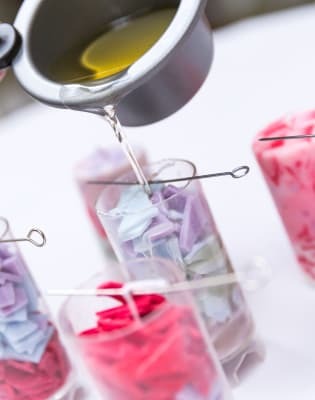 The philosophy behind Candle by Events is creating fun, hands-on and memorable events around candle-making that appeal to adults and children across all age groups. All the equipment and materials are included plus soft drinks and cakes! Please note: If you are booking for 2 or more people, please make sure to include the full names of all of your guests when booking.